This summer school will explore discourses and strategies of reading and pleasure in the Middle Ages. From what appears to have been a primarily pious, learned, and/ or legal use of reading in the early medieval period, books and texts came to be gradually and increasingly associated with notions of pleasure. On the one hand, different kinds of explicit or implicit pleasure made up literary motifs and became a literary theme; on the other, pleasure came to be thought of – at least by some – as fundamental to reading. This tendency concerns not just narrative fiction and poetry, traditionally associated with reading for pleasure, but also genres such as epistolography and historiography. 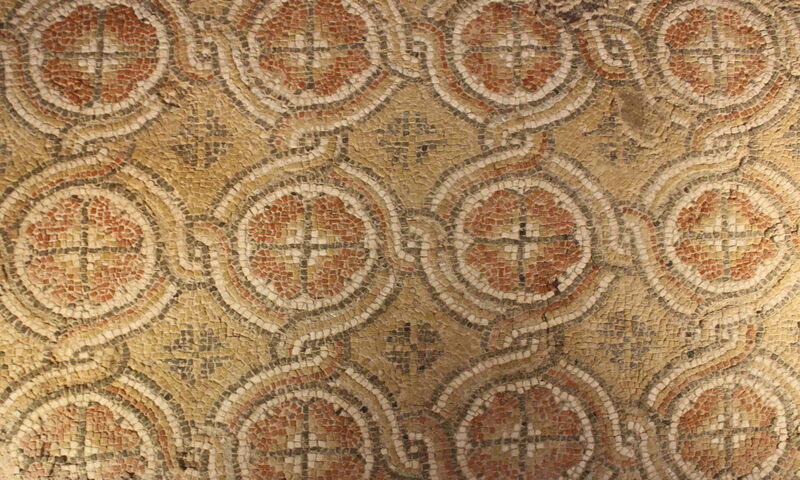 And patterns turn out surprisingly similar in both Persian, Arabic, Byzantine and Western medieval environments. In theory as in practice, pleasure is easily sought, but equally easily slips out of grasp. The aim of the summer school is to engage with and develop specific approaches that will enable us to discuss medieval developments – of great impor- tance for later premodern and modern literary thinking – across the time gap, but also across the spatial gap between east and west. Aiming for conceptual clarity, we encourage participants to consider the pleasure of storytelling and narrative urges, but also the modern pleasure of reading medieval texts. We wish to open up for a wide range of genres – such as romance, drama, chronography, court poetry, and letters – and numerous perspectives, for instance performance, text/image recog- nition, book production, genre questions, author-narrator position, or gendered roles in and outside the text. Some possible themes include Persian, Arabic, Byzantine and Western literature; Middle Ages; reading and storytelling; translations; romance; drama; poetry; letters; chronography; court culture; book history; illuminations; gender studies. The summer school will be organized around lectures, discussion groups and time for informal talk. In the mornings, lectures, all of which will be followed by a seminar of the whole group, will address large themes. In the afternoon, smaller seminar groups, each led by a tutor, will work together over the course of the summer school on a series of case studies. These will be combined with smaller excursions by foot. There will be substantial reading in advance. Lunches and two dinners will be in common. On Wednesday there will be a longer excursion. Tutors are Christian Høgel (University of Southern Denmark), Lars Boje Mortensen (University of Southern Denmark), Ingela Nilsson (Uppsala University), and Elizabeth Tyler (University of York). Lectures will be delivered by Virginia Langum (Uppsala University), Pernilla Myrne (University of Gothenburg), Stratis Papaioannou (Brown University), and Bo Utas (Uppsala University). Applications should be sent before 1st of December 2015 to hogel@sdu.dk. The summer school is open to PhD students of medieval history, linguistics, literature and philology. Students’ research should preferably involve texts in at least two medieval languages, and they will be expected to read English and either French or German. Lectures and seminars will be held in English. Your application should include an abstract of your current research (no more than one side of A4, single spaced) and a statement addressing the contributions you can make to the summer school and what you hope to gain from participating (no more than one side of A4, single spaced). You must also name one referee who will be willing to write in support of your application. Referees of short-listed applicants will be contacted directly by the organizers of the summer school. There is no cost for attending the Summer School. Five bursaries (cost of transportation to Istanbul) will be available. Please address your application to hogel@sdu.dk before 1st of December 2015, precising your costs and financial need. Accommodation will be provided for the participants at the Swedish institute or at hotels in the vicinity. Lunches and two dinners will be provided by the organizers. The participants will take care of the other meals. This project is organized by the section for Greek and Byzantine Studies (Uppsala University) and the Centre for Medieval Literature (University of Southern Denmark and the University of York). Art Histories and Aesthetic Practices is an initiative of the Kunsthistorisches Institut in Florence (KHI), Max-Planck-Institute at the FORUM TRANSREGIONALE STUDIEN, Berlin. Art Histories is directed by Hannah Baader and Gerhard Wolf and cooperates with the program Connecting Art Histories in the Museum (Berlin State Museums/KHI Florenz). Applicants should have obtained their doctorate within the last seven years (before their application). We welcome applications from all continents and regions, with various disciplinary backgrounds, such as Art Histories, Archaeologies and all relevant neighboring fields dealing with artifacts, artistic production, and aesthetic practices relating to objects, images and architectures. Applicants should be interested to engage in reflexive and transdisciplinary research. Art Histories fellows are given the opportunity to pursue their individual research projects within a transdisciplinary and transregional context. They are expected to engage in the program activities, such as regular seminars, workshops, conferences and a travelling seminar. In the overall context of the Art Histories and Aesthetic Practices program and the framework of the FORUM TRANSREGIONALE STUDIEN, the fellows will be part of a creative, intellectually stimulating and discursive environment. The fellowhip starts on 1 October 2016 and ends on 31 July 2017. In particular cases, shorter fellowship terms may be considered. Postdoctoral fellows will receive a monthly stipend of € 2.500 plus supplements depending on their personal situation. Organizational support regarding visas, insurances, housing, etc. will be provided. Successful applicants become fellows of the program Art Histories and Aesthetic Practices at the FORUM TRANSREGIONALE STUDIEN and are expected to take up residence in Berlin. Art Histories and Aesthetic Practices is funded by the German Federal Ministry of Education and Research. The research program is integrated in the Berlin-based FORUM TRANSREGIONALE STUDIEN, a research platform that connects systematic and region-specific questions, addressing entanglements and interactions beyond national, cultural or regional frames. The FORUM works in tandem with established institutions and networks that are engaged in transregional studies and is supported by an association of directors of universities, research institutes and networks mostly based in Berlin. It supports three research programs: ZUKUNFTSPHILOLOGIE: Revisiting the Canons of Textual Scholarship, and EUROPE IN THE MIDDLE EAST—THE MIDDLE EAST IN EUROPE (EUME). The FORUM TRANSREGIONALE STUDIEN cooperates with the Max Weber Stiftung and is funded by a public-private partnership. Olivier Delouis (UMR 8167), sur le colloque d’Athènes 18-20 nov. 2015, « Lire les “Archives de l’Athos” : à propos d’un colloque récent sur les 70 ans de la refondation de la collection par Paul Lemerle » et sur son étude « Un acte de vente inédit de 1321 conservé à Karakala : une étude de cas ». The Hardt Foundation for the Study of Classical Antiquity, in pursuit of its ambition to promote the study of the culture and civilization of Greco-Roman antiquity, offers young researchers an opportunity to apply for research scholarships covering stays of two to four weeks. La Fondation Hardt pour l’étude de l’Antiquité classique, désireuse d’intensifier le rayonnement de la culture et de la civilisation du monde gréco-romain, offre sur candidature des bourses assurant aux jeunes chercheuses et chercheurs un financement pour des périodes pouvant aller de deux à quatre semaines.